For Temporary Power Cuts / Emergency Standby call Power Rental! We are experts in getting temporary power to you as quick as possible. We'll link you up to a top-quality machine in no time. 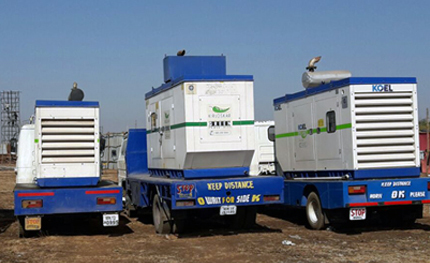 Generator is also known as DG Sets On Hire / Hiring Services, Diesel Generators On Rental or Lease, Portable Diesel Gensets, Silent DG Sets, Diesel Engines. Majorly we serve our customers from cities like Pune, Bhosari, Pirangut, Chakan, Talegaon, Khed, Ranjangaon, Shikrapur, Sanaswadi, Shirwal, Solapur, Kolhapur, Ichalkaranji, Aurangabad, Ahmednagar, Karad, Sangli, Satara, Lonavala, Khopoli, Panvel, Nashik, Maharashtra etc.